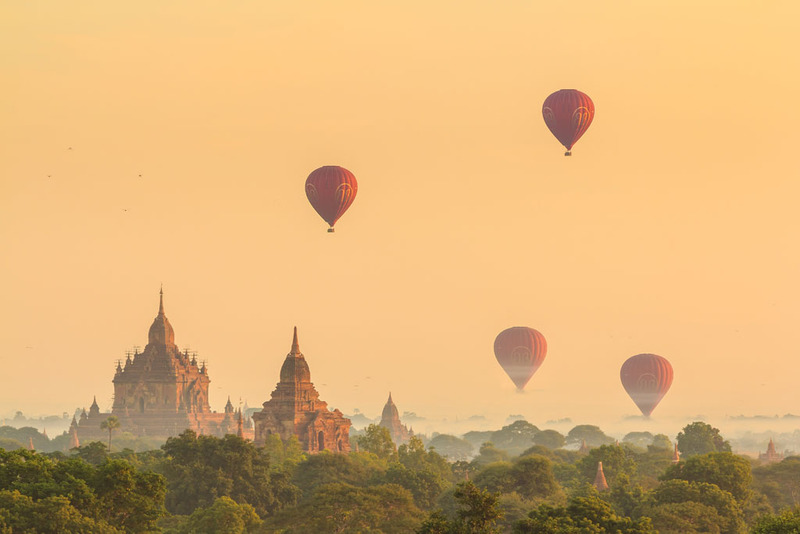 Morning flight to Mandalay. Met by your local guide at the airport and transfer to your hotel (the city center is about one hour’s drive from the airport). 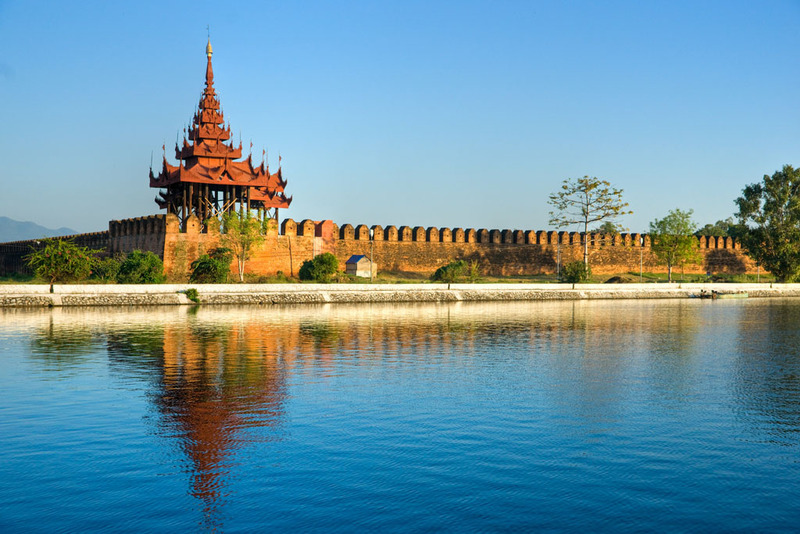 Mandalay had been the royal capital for only 25 years when the British invaded Upper Burma in 1885 and exiled King Thibaw and his queen Supyalat to India. 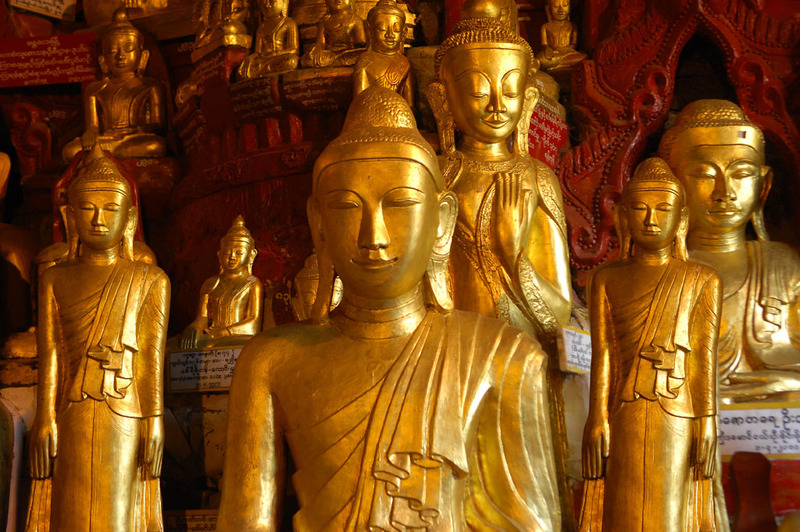 But for thousands of years it had already been considered a sacred place for the Buddhist faith. 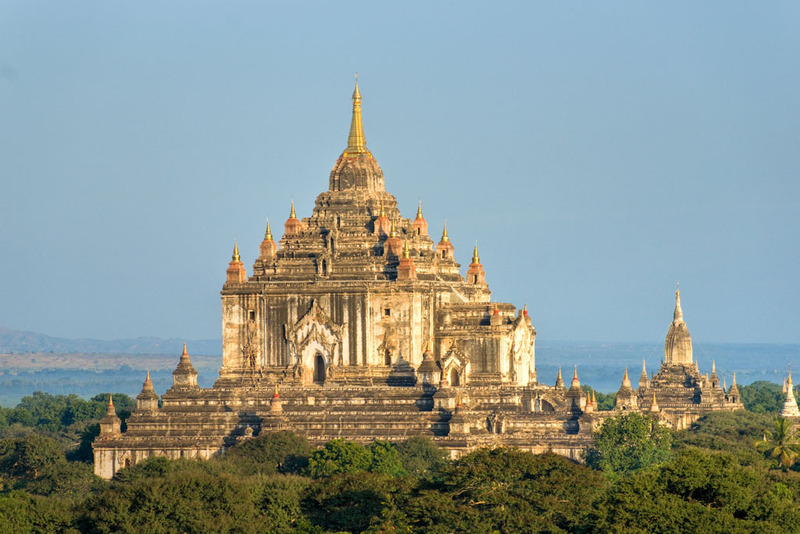 It was King Mindon who moved the capital from neighbouring Amarapura and built the Royal Palace as the center of the new city, forming a perfect square. Surrounded by a moth, it had 12 gates – 3 on each side, marked with the signs of the zodiac. It was built entirely of teak. Today only the outer walls and the moth remain of the old structures, the old palace itself burned down in 1945 when used as military compound by Japanese occupation forces during World War II it was shelled by British troops. The buildings we can see now are very good replicas of the old palace. 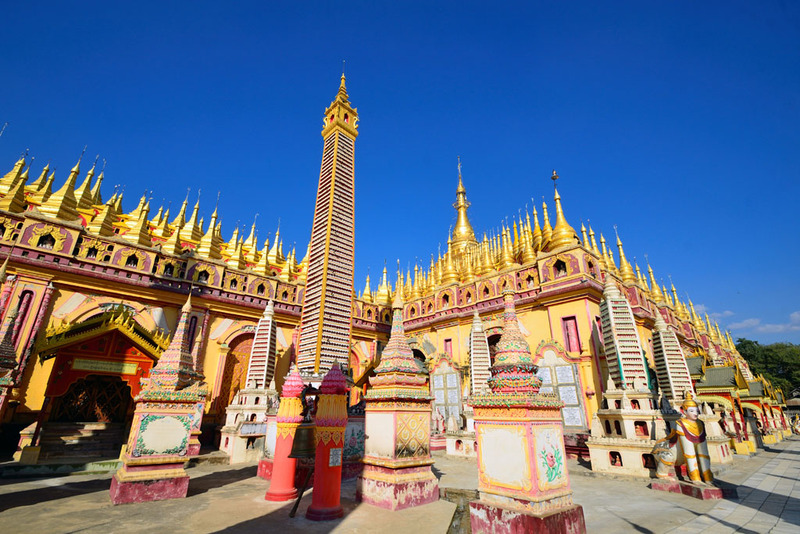 Today, Mandalay is a bustling commercial city among all the golden temples and pagodas; with its location in the middle of the country it acts as a crossroad for goods coming from the outlying areas and from as far away as China, Thailand and India. 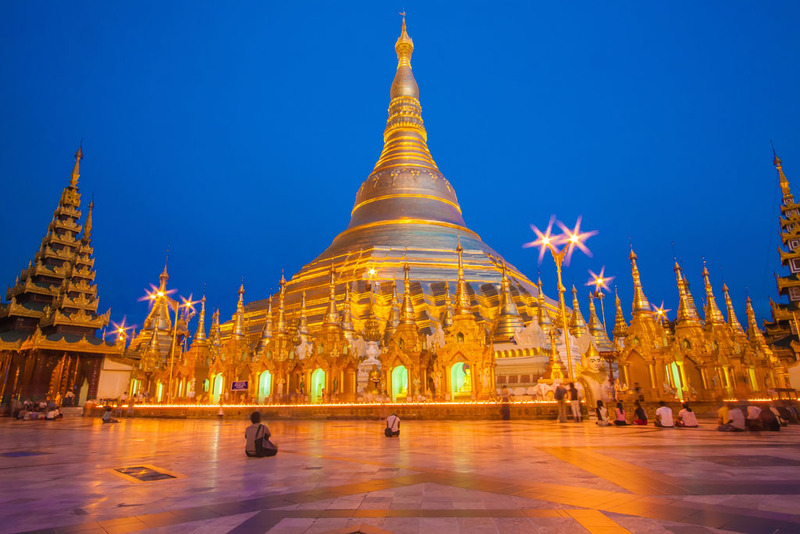 On the way from the airport the guide will take you to visit the Maha Muni pagoda, which in addition to housing the golden image of the same name with its very colourful history, have many small stalls and shops. 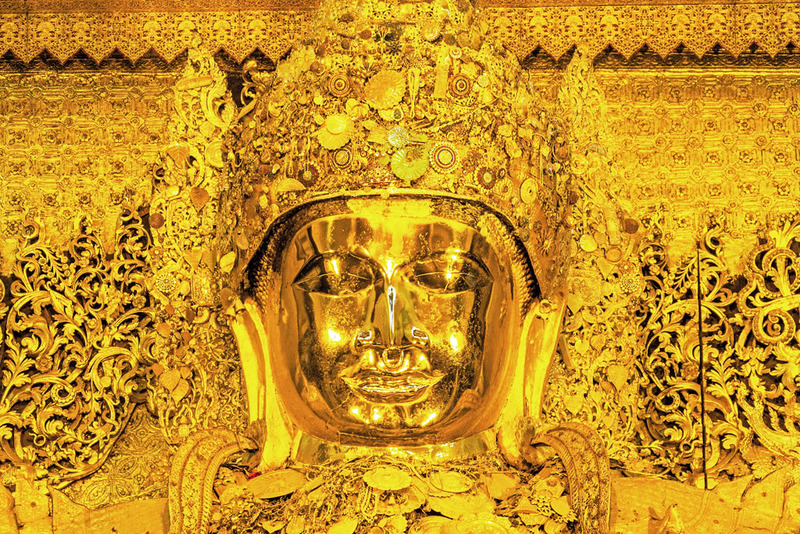 From there it is on to the artisans who produce some of the gold leaves which the devoted Buddhists bestow in large quantities on Buddha images and stupas in order for them to gain merits for their next life. 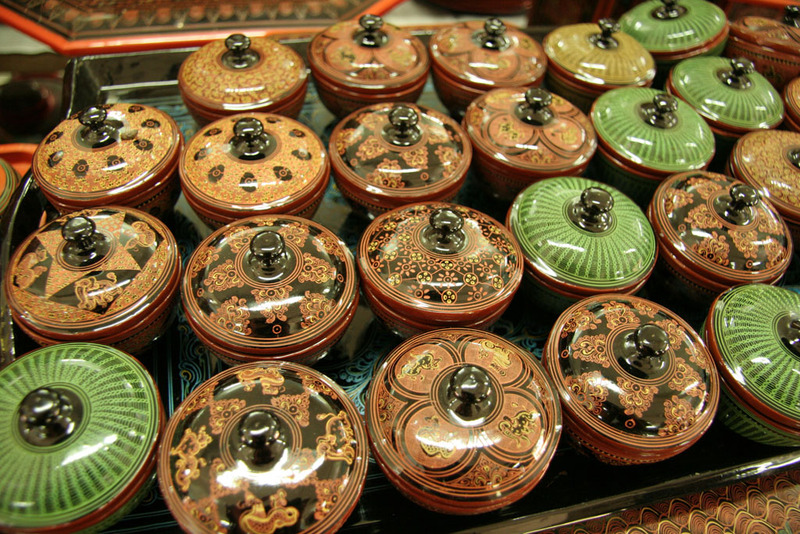 Gold leaf production is a handicraft that has been in the same families for generations. 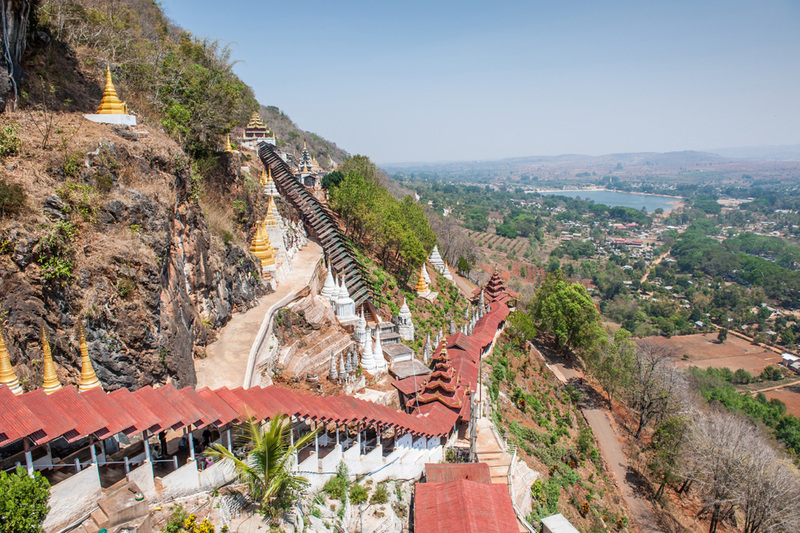 Later in the afternoon, the guide will take you to the former Royal Palace, before proceeding to the Shwe Kyaung (Golden Monastery). 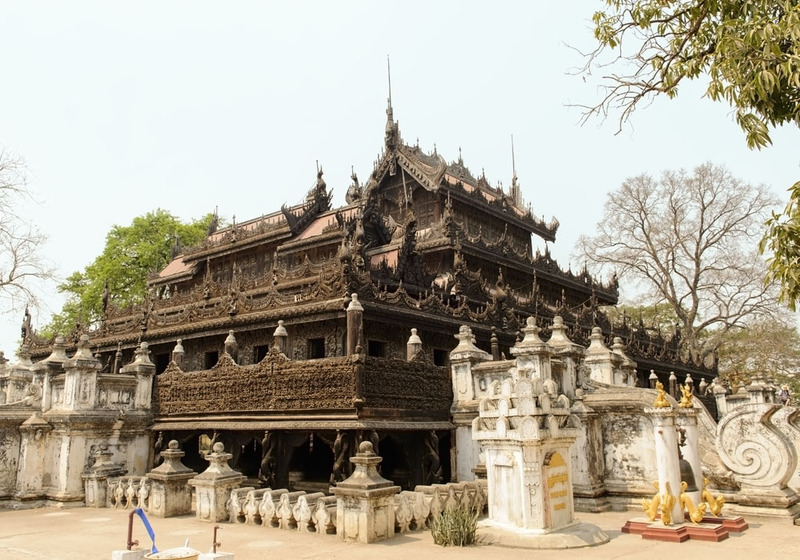 This monastery is the only wooden structure left over from the old palace. 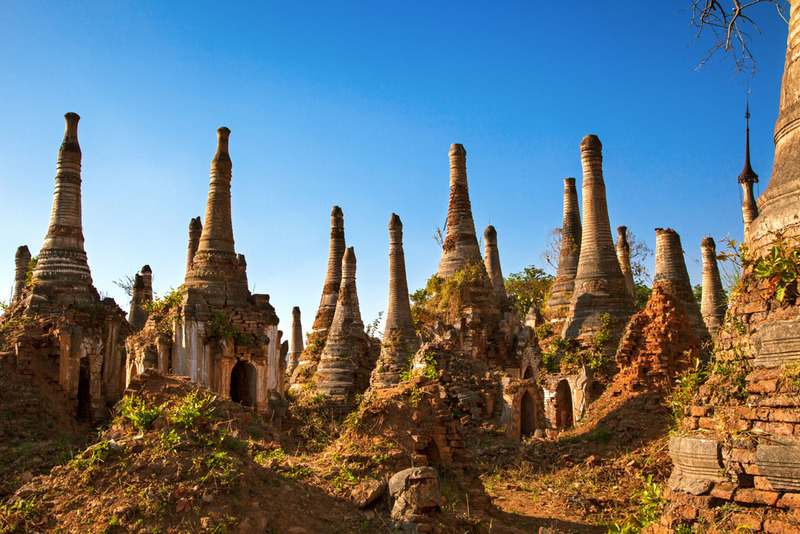 It was moved here by King Thibaw and therefore it escaped the faith of the other palace buildings. 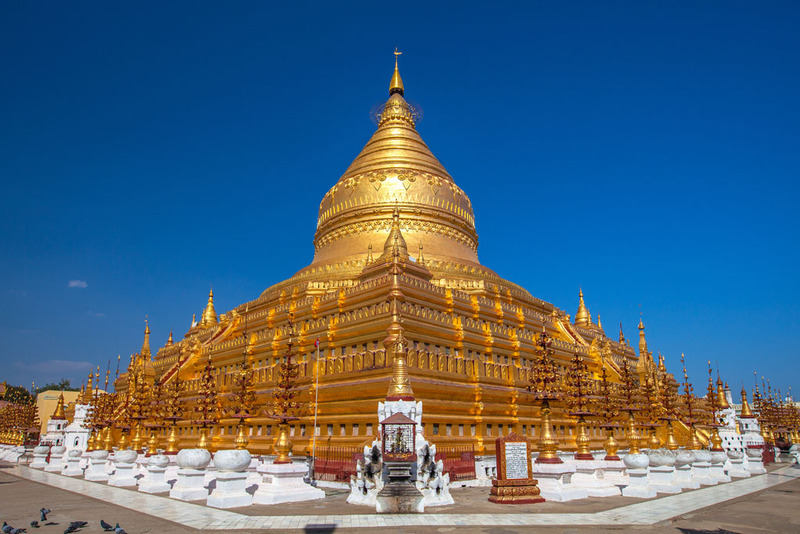 From there it is on to the Kuthodaw Pagoda, also called “the world’s largest book”, referring to the 729 marble tablets which together contain the script of the whole Buddhist canon (Tripitaka) and the 729 small pagodas housing them. Amarapura, about 10 km out of Mandalay has also been a royal capital during brief spells of Burmese history, but these days not much remains of the old palaces. 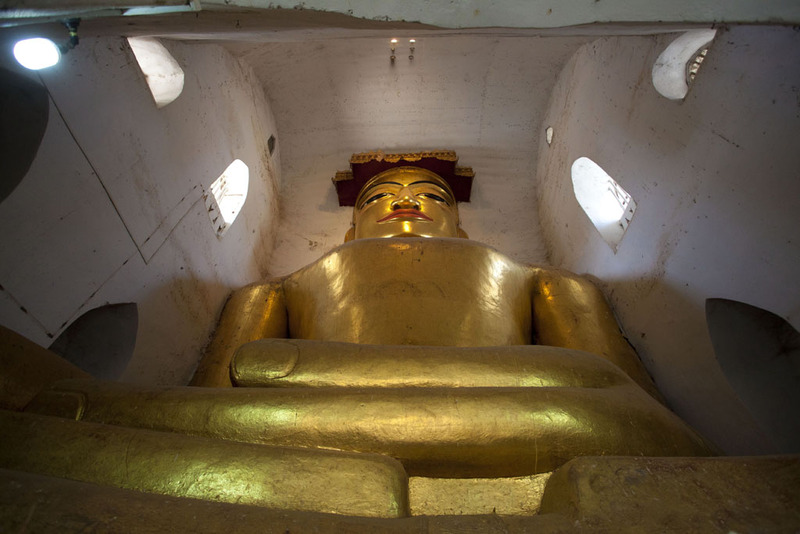 It is, however, a very spiritual place with many monasteries and several thousand monks. 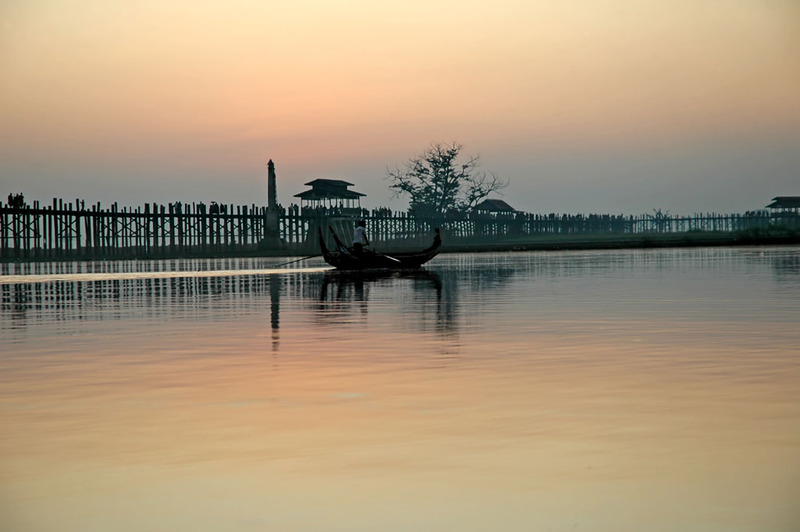 There is the beautiful U Bein’s Bridge, a 1.2 km long footbridge across the Taungthaman Lake, built entirely in teak with material salvaged from the royal castle of Innwa when the capital moved from there to Amarapura two hundred years ago. 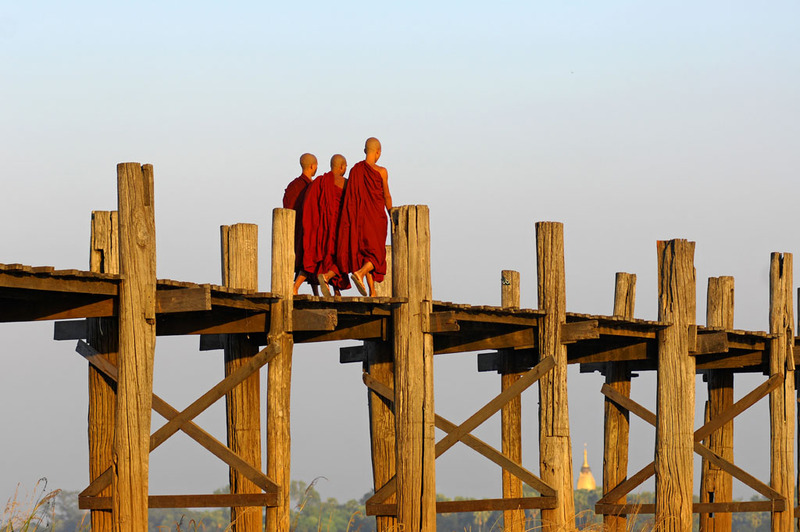 The bridge still stands after all this time and is considered the longest teak span in the world. You will also be able to watch hundreds of monks coming together for their last daily meal at around 10.30 am. 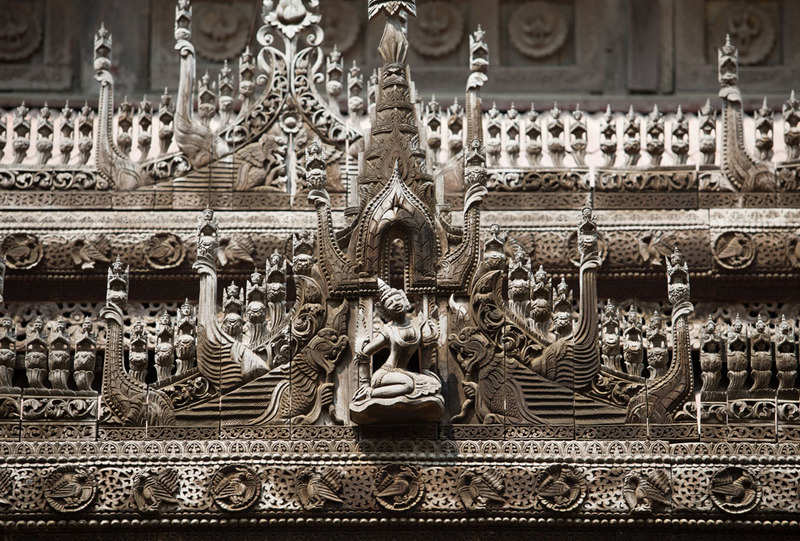 Apart from its history, Amarapura is particularly known for its silk- and cotton weaving and all around you can hear the clackety-clack of the looms. Bronze casting is also a trade famous for this town. 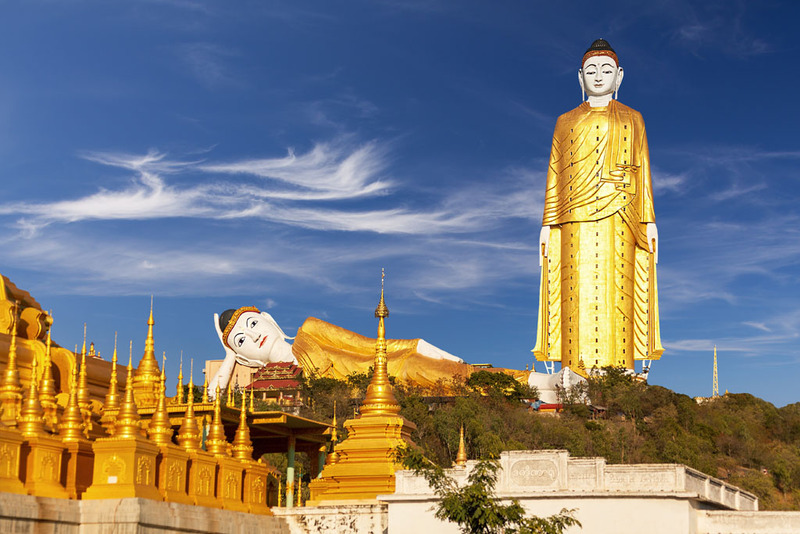 By car to Monywa 136 km northwest of Mandalay along the eastern bank of the Chindwin River. 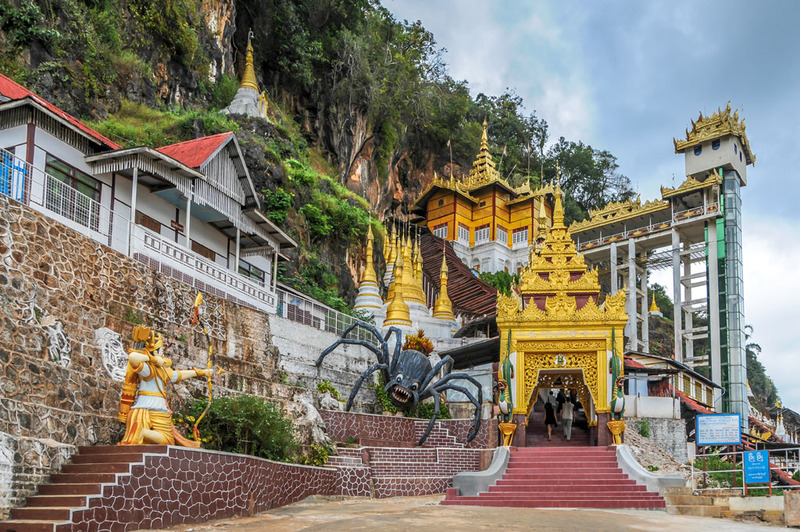 One of its many attractions is the Poewindaung mountain caves where visitors can observe incredible stone carving and mural paintings. 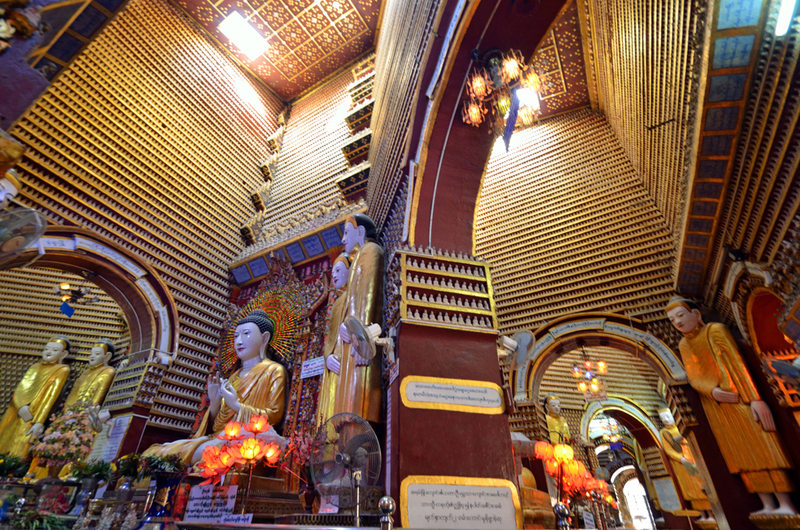 Thanboday pagoda is another major attraction, – according to the myth the solid section of the monument contain 7350 relics and other holy items. 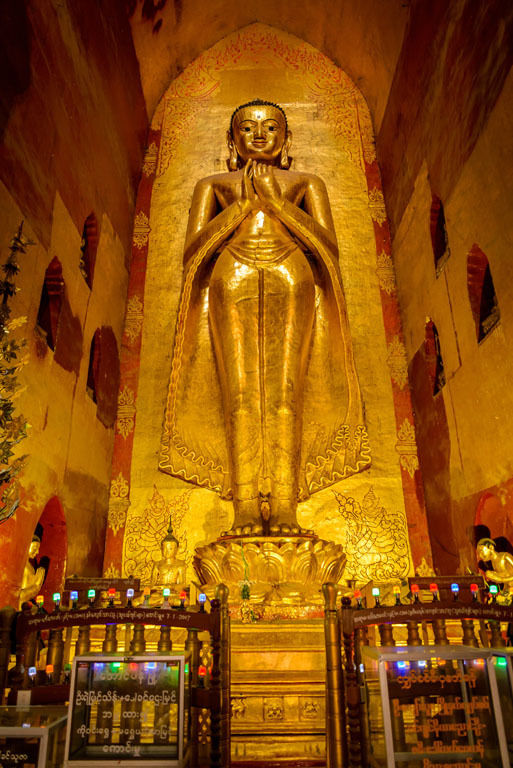 Further away is a giant Standing Boddhi-tataung Buddha, 129 meter high and inside built as a museum. Boddhi Tataung means 1000 Buddhas and is a group of Banyan trees with a Buddha image at the feet of each of the thousand trees. Overnight at hotel in Monywa. 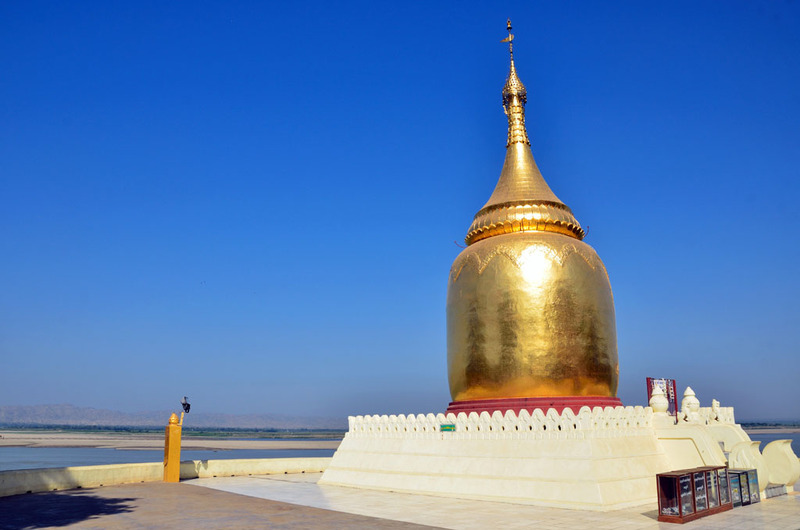 From Monywa to Pakkoku which known as a education centre for Buddhist monks and is situated at the west bank of the mighty Ayeyarwady River. The bridge crossing the mighty Ayeyarwady river from Pakkoku to the other side north of Bagan was completed just a few years ago and is the longest in Myanmar. 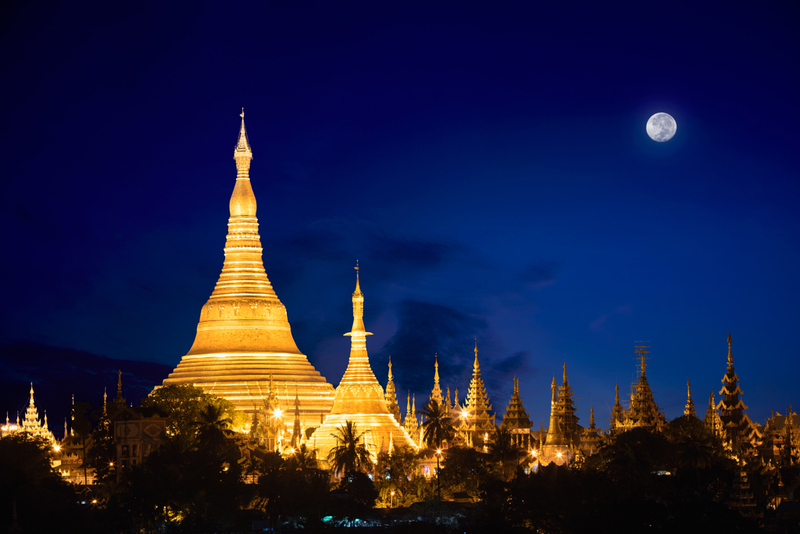 Check in a hotel and later enjoy a spectacular sunset view from one of the pagodas. 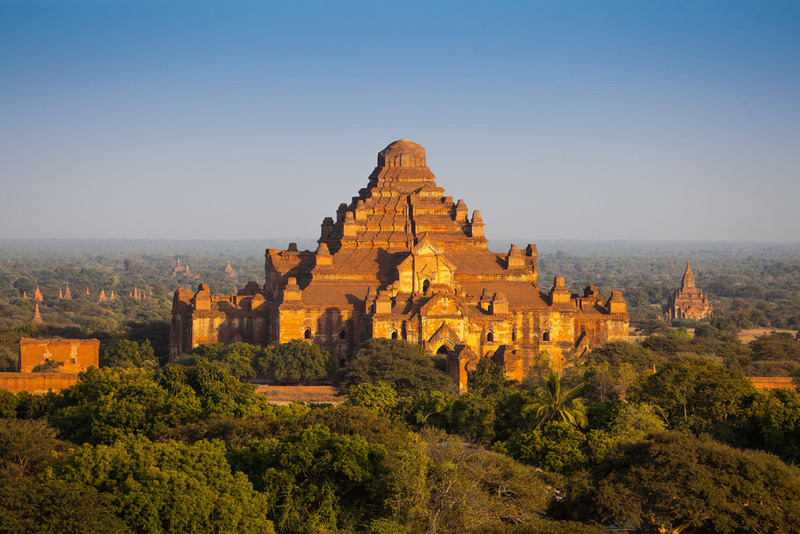 In its heydays, in the two centuries from 1057 and until the Mongol forces of Kublai Khan overran and destroyed most of it in 1287, more than 13,000 temples and other religious structures had been built around Bagan. You will not be able to cover even a small percentage of what is left, but during your stay you will be able to visit some of the best and most famous ones. 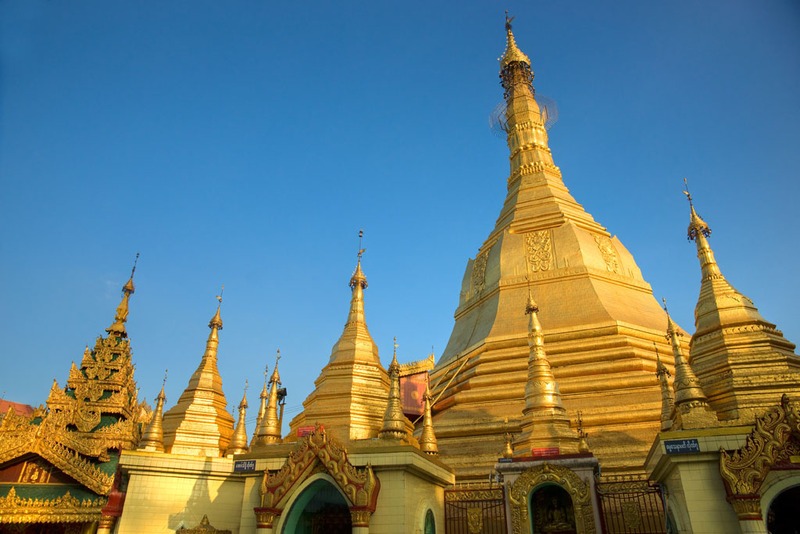 Among pagodas and temples worth visiting are Shwezigon Pagoda, a prototype of later Myanmar stupas, Wetkyi-in Gubyaukkyi Temple with fine mural paintings of Jataka scenes, Ananda Temple, Dhammayangyi, a massive temple with the finest brickwork, Manuha Temple with gigantic Buddha images, a captive king’s impression of life in prison, Nanpaya, with the finest stone carvings, Thatbyinnyu, the highest of Bagan temples, and Bupaya Pagoda on the brink of majestic Ayeyarwaddy River, Lawkahteikpan temple with mural paintings and ink inscriptions. 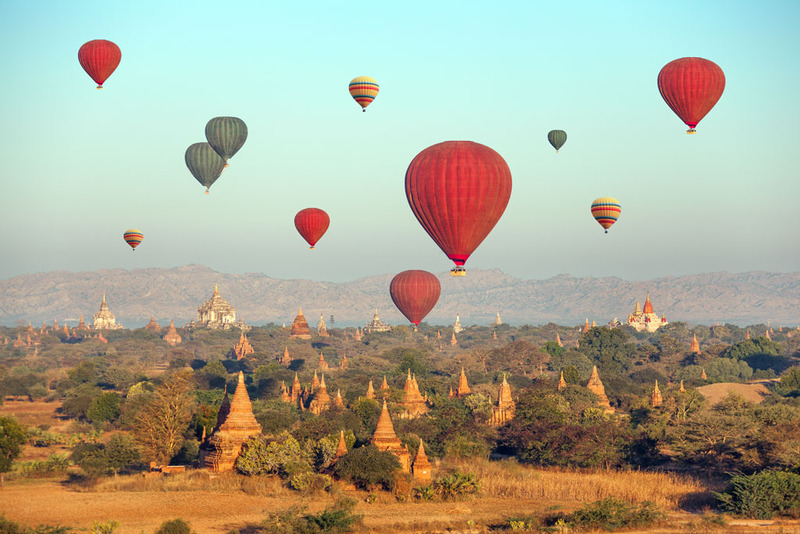 Bagan on your own, by bicycle or horsecart. Or just a time to relax. Morning flight to Heho in southern Shan state. Met by guide and care and drive (about 2 hours) via Aung Ban and through a beautiful landscape to Pindaya. After lunch, visit to Pindaya Cave, unique for the thousands of Buddha images placed there by pilgrims over many centuries. Overnight in Pindaya. 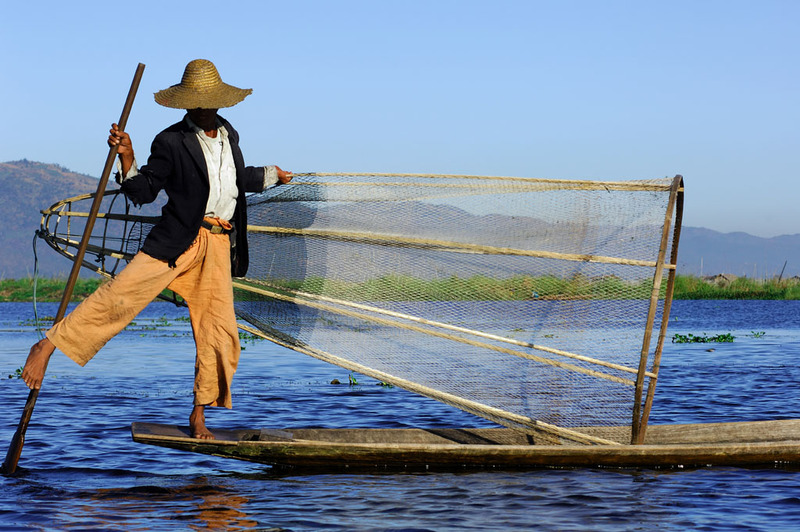 After breakfast there is a few hours drive to Nyaung Shwe at the bank of Inle Lake where your hotel is situated. 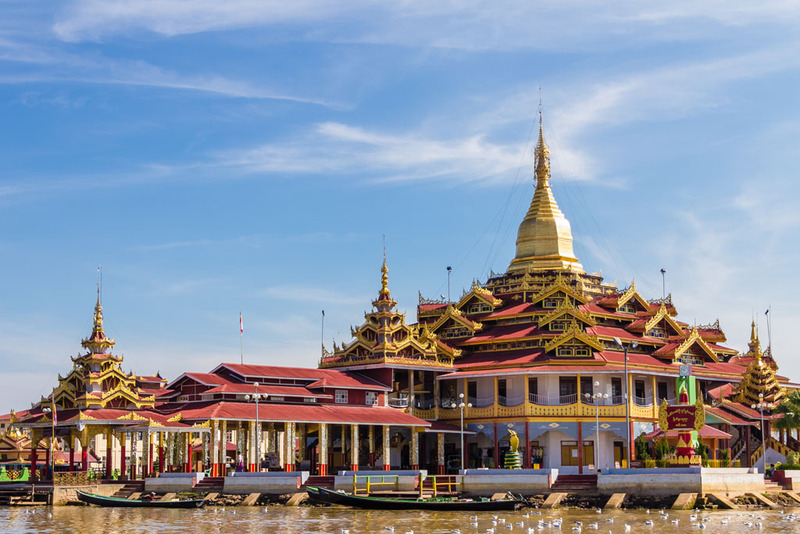 Sightseeing is by boat and includes visit to the Phaungdawoo Pagoda – famous for its richly gilded five small Buddha images and the Ngaphechaung monastery with its collection of ancient Buddha images. 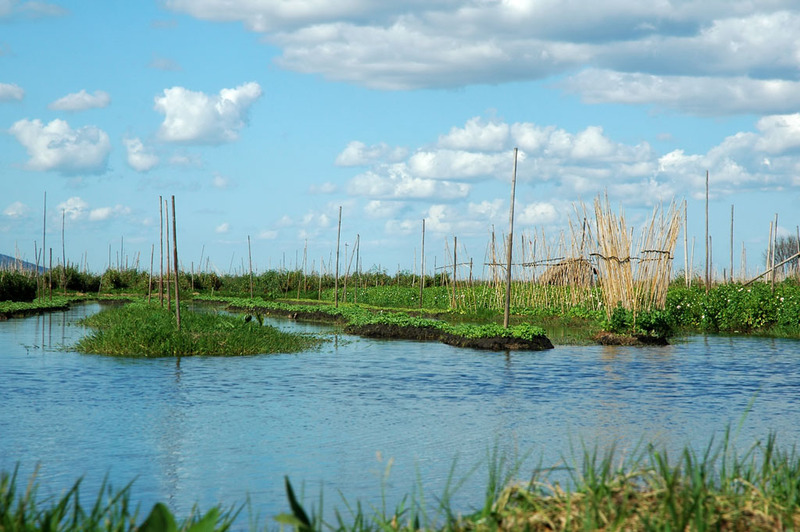 But most of the time will be spent touring the villages on stilts and observe daily life with leg-rowing fishermen, floating vegetable gardens and visit to traditional handicraft workshops. After breakfast a visit by boat to a local market and from there to the western shore of Inle Lake, where you will find the beginning of a stair path leading to the well hidden Indein Pagoda complex, famous for its ruined clusters of more than 1000 pagodas dating back to 15th century. Enjoy the tranquility and peaceful ambience around the weathered ruins, as well as a short walk through the bamboo forest along the creek. Rest of the day on the lake. Morning on your own. 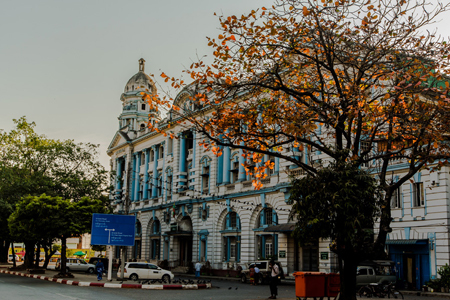 Nyaung Shwe is a pleasant provincial town with a laid back atmosphere, with a central market and many small eating places. You can rent a bicycle or let a tuk-tuk take you to some of the villages nearby and to the Red Mountain Estate where they produce various types of wine of very acceptable quality. In the afternoon, transfer to Heho and flight to Yangon. Car to your hotel.